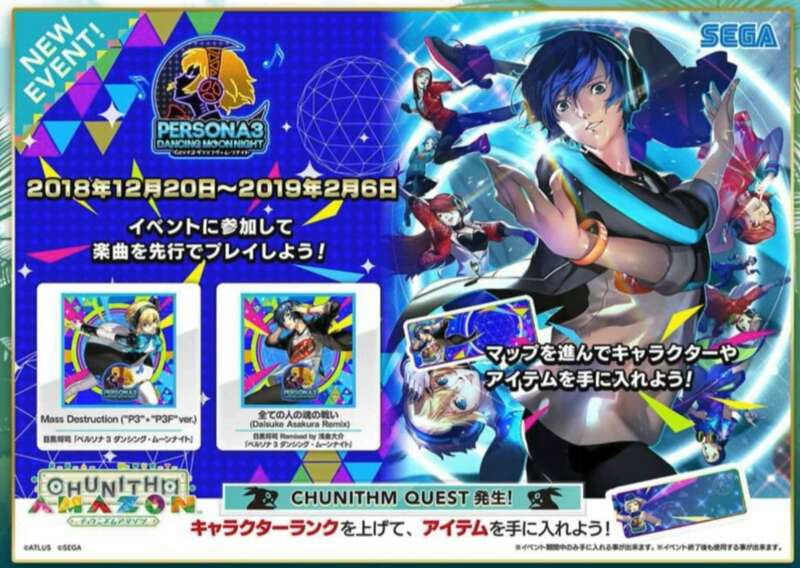 Update (2018-12-04): A collaboration with Persona 3: Dancing in Moonlight has also been confirmed to be held starting on December 20th, 2018. 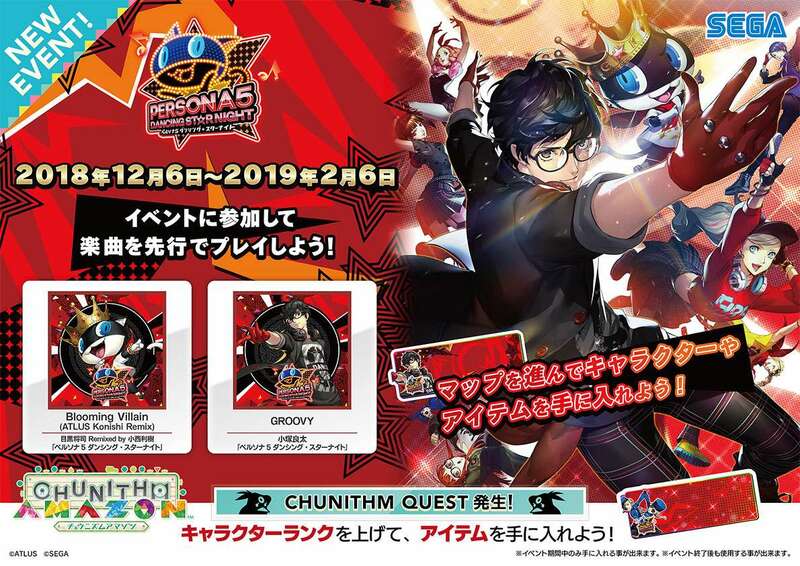 SEGA have revealed a collaboration event between Persona 5: Dancing in Starlight and their arcade rhythm game, Chunithm. 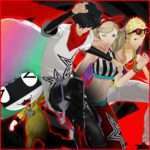 Between December 6, 2018 and February 6, 2019, two tracks from Persona 5: Dancing in Starlight will be added to the game. 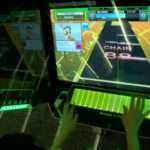 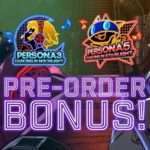 In addition, an event map for the collaboration will allow for the songs to be played in advance, and to unlock themed character nameplates. 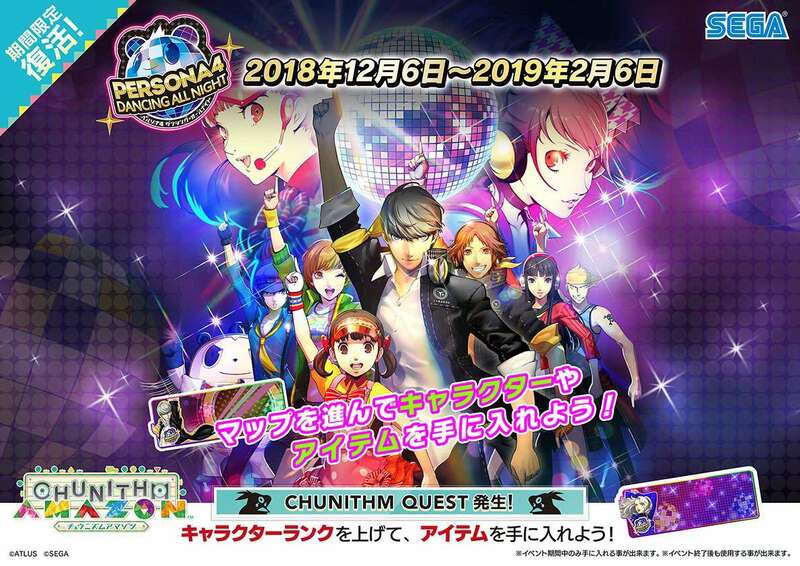 During an official Chunthim live broadcast held on December 5th, 2018, It was confirmed that in addition to the Dancing In Starlight collaboration, a collaboration with Persona 3: Dancing in Moonlight will also be held. This collaboration will be held between December 20, 2018 and February 6, 2019, and as with the Dancing In Starlight collaboration, will feature two tracks from the game and an event map featuring character nameplates. 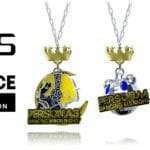 Mass Destruction P3 + P3F Ver. 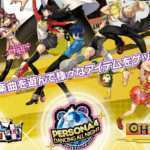 Additionally, the previously held collaboration with Persona 4: Dancing All Night will return to the game between December 6, 2018 and February 6, 2019.